A Glastar Patio Cover is a beautiful and economical addition to a home or cottage. 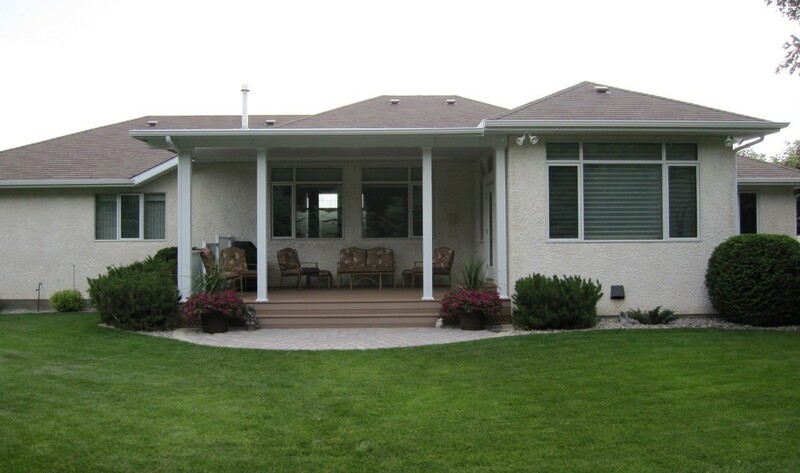 We offer custom made patio covers that are designed to fit any size or style of your home. 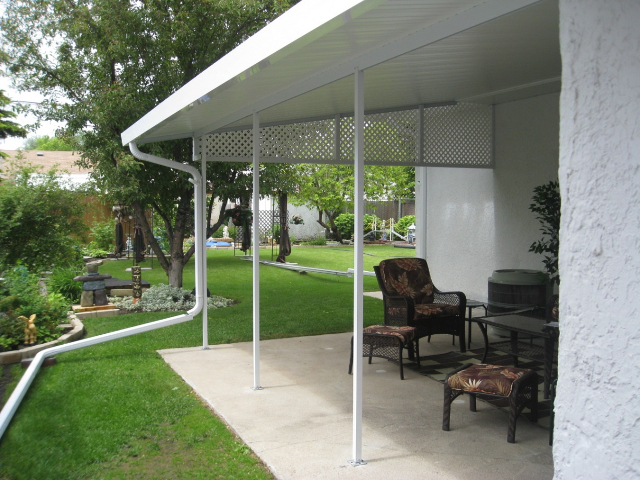 A patio cover provides a cool comfortable place to enjoy the outdoors with protection from the sun, rain and snow. Constructed from 10” wide interlocking metal roof pans, the roof has been engineered for all snow loads and can match any building design.